In recent years, the world’s blood shortage has propelled the biotechnology of blood substitutes. PlasGen blood substitute does not contain the blood plasma, red and white cells, or platelets of human or animal blood, but functions to transport and deliver oxygen to the body's tissues. In addition to carrying oxygen, such compounds are sterilized against infectious diseases. PlasGen is a patentable concept for plasma expanders. Typically with trauma or acute blood loss the emergency patient is field treated with a saline solution blood/plasma expander. Typical expanders do little more than dilute the remaining blood and do not assist in providing life-sustaining, critically-needed oxygen. The 'secret' of Plasgen's patent-pending expander is in the water. It is a very special energy water. 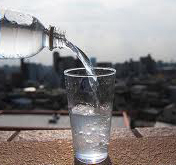 The water starts out as USP Pharmaceutical Grade Water. Then it is treated in a very special way that is extremely time and energy intensive. The total-organic-carbons are virtually non-existent. The process renders the water in such a way as to remove any disease markers and changes the hydrogen / oxygen bond angle to 113.8 degrees versus the typical 104 degree of high purity water. This will allow for an easy release of the oxygen. Hydrogen Peroxide is also an ingredient of Plasgen. It acts as a catalyst to agglomerate free hydrogen. That would be the hydrogen that is released when the water molecule breaks apart and releases the oxygen into the blood stream as well as the agglomeration of oxygen into the water molecule via the lungs. Nitric acid and 2,3 DPG are also an important part of the formula in that it allows for proper timing of the release of oxygen into the blood stream. These, along with a special deep-sea seawater, derived from 3500 feet below sea-level, and coconut water, in themselves, mimic the qualities of blood plasma. A very special and proprietary stem cell extract, prepared in a unique patent-pending process, is also an important part of the formula. It is further enhanced with a proprietary all-natural ingredient that synergistically increases the efficacy of the stem cell extract by up to 7500%. 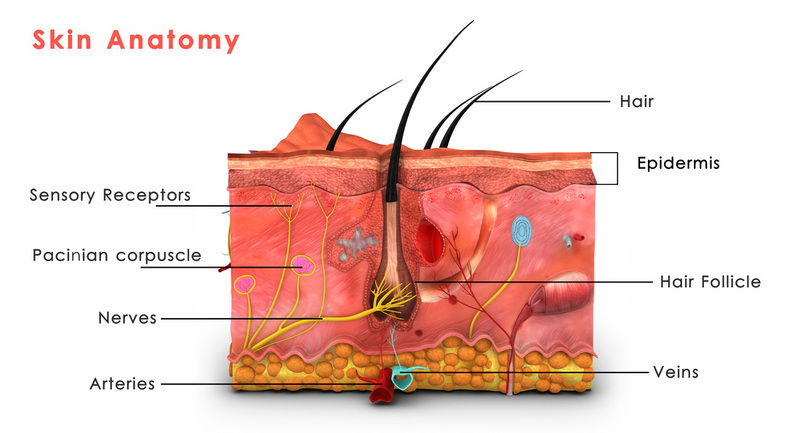 PlasGen is more than just a saline solution or a plasma expander. By mixing PlasGen with other solutions that are packaged in a unique way, a fresh and ready-to-use super-oxygenated plasma expander will course throughout the patient’s body, supplying much needed, life-sustaining oxygen thereby increasing red blood cell growth and clotting. The storage requirements for PlasGen are more flexible than the storage requirements of human blood. Human blood must be refrigerated and lasts no more than six weeks. Thus, another potential advantage of employing PlasGen addresses the donor blood shortage crisis. Because this product does not use human or animal blood or blood fractions, it extends shelf life, eliminates blood typing, and stops blood-borne pathogen issues. A lyophilized (freeze-dried) whole blood (LHB) product and delivery system known as PlasGen LHB is the actual real-world application of PlasGen. The use of whole blood as a resuscitation fluid, according to early U.S. Army studies, has shown to significantly reduce battlefield mortality. In many situations, use of fresh frozen plasma or whole human blood is limited by storage requirements and the short shelf-life for thawed whole blood. As a life-saving measure for coagulopathy, PlasGen LHB has been identified as a high priority. The PlasGen LHB product and delivery system will offer individual units of single source donor lyophilized whole blood that are safe and easy to carry, reconstitute and administer. A battlefield soldier could easily carry the equivalent of 2 or 3 units of his own whole blood. It would be our patent-pending lyophilized (freeze-dried) blood. It would have already been dosed into our patent-pending frangible seal IV bag. The weight of each bag would be approx 6 ounces. In the event of a trauma injury, a field medic would assess the situation and may determine that a blood transfusion is needed to sustain the soldier’s life. The medic simply retrieves the IV bag with the lyophilized blood from the soldiers pack, validates the soldier's ID to the dried blood bag contents with our patent-pending software and scanner (it is also human readable) , adds a unit dose of the PlasGen blood substitute oxygenated plasma, that is carried in large quantities by the medic team, twists the bag to break the frangible seal, mixes it for 1 minute and in less than 2 minutes the soldier is receiving a unit or more of his own whole blood. Leveraging a core competency in lyophilization will improve battlefield and civilian care. Success of the PlasGen LHB process on the battlefield could mean improved care for civilians. Responsible for more than 160,000 deaths annually, the National Trauma Institute reports that trauma is the leading cause of death in the U.S. for individuals ages one to 44. The PlasGen LHB product and delivery system that is readily available at the point of care could significantly decrease mortality for these patients. Another advantage of PlasGen LHB is the ability to reconstitute in less than 2 minutes; where waiting 20 minutes for fresh frozen plasma or whole blood to thaw – may be the difference between life and death. This is a crucial initiative, developing a lyophilized human plasma product and delivery system will be a significant evolution for battlefield and civilian trauma care. As the use of PlasGen LHB carries into the civilian medical space, we will see increased survival rates in patients treated at smaller hospitals and numerous trauma centers where currently, fresh frozen plasma or whole blood is not readily available. The value of the global blood industry is expected to be nearly $95 billion in 2018. It would be marketed as an expander rather than a blood substitute. The FDA CFRs are already in place. A few FDA medical device approvals will be needed. There are several profit centers of this project. Each one has tremendous potential. They can each be licensed to other companies. Define each of the projects and acquire patent-pending for each. License it to a major manufacturer and/or distributor. Have them fund it to completion for a sizable share. I will share design, R&D oversight with the initial investor. I want a decent percentage that is non-dilutable. Glenn Mouser, Boise, Idaho USA, 83714. Timer Technology for 4/8/16 oz. container. Safe, innocuous gel melts at 120F. No flame, fire, heating element or lightbulb. Low voltage USB charging for low noise fan. Lasts 2 weeks on single charge. Self-Contained Self-Rescue oxygen generation system. These are non-explosive systems to generate pure O2 for 10 minutes or 3 hours for one person. They could be carried as a backpack system or stationed at a nearby location. Larger units could serve several people. As oxygen gas is generated from a chemical reaction within the device (in the fuel cell), the exhaled air of the user is filtered through a scrubber unit to remove carbon dioxide from the exhaled air. The cleansed exhalation is then circulated back into the flow of fresh oxygen to maximize clean closed-circuit efficiency. A plunger is depressed to break a glass vial containing a special liquid. It then mixes with dry chemicals that then produce pure O2… Oxygen. The oxygen helmet connects directly to the wearable Non-Explosive REGEN 10 ten minute unit or the REGEN 180 three hour unit. This will allow the miner to quickly and easily connect and disconnect from the REGEN 10 or REGEN 180 without removing the helmet. A safety seal traps breathable air in hoses and blocks contaminated ambient air until safely docked. These oxygen generators are unique in that the hood does not require a mouthpiece. The exhaled breath is recirculated. It is scrubbed and reused. All chemicals in the fuel cell and components used are benign. They are designed and manufactured in several sizes and shapes that allow timed-release of the oxygen potential. This allows a constant flow of oxygen throughout the stated delivery time. The fuel cell is refillable and reusable making the entire unit cost effective to maintain. A unique water cooling system cools the exothermic chemical reaction. The REGEN 10 and REGEN 180 both allow oral communication. Mining disaster victims have commented that they could not orally communicate with others without taking out the pressurized oxygen mouthpiece. Many miners have died by taking out the mouthpiece in an attempt to communicate. non-drug based options that are generally not supported with objective scientific research. with a university-based research team. * The only non-drug hair loss treatment with demonstrable dual mechanism of action. * Consumer Strength Topical Serum uses proprietary delivery system to enhance uptake by hair follicle. * Several components used in these formulations are patented In and of themselves. * This treatment regimen requires only once-daily usage. * Consumer Strength regimen suitable and available for use by women. * Ongoing research predicates continual improvement. block DHT and inhibit hair follicle inflammation. This is an artificial skin that is used as a delivery system of drugs, medicine, actives, homeopathics, and other application. This is not a spray-on type bandage. It does not stop bleeding, rather it allows trans-dermal delivery and protection to the skin. It is designed to replace skin transplants for scrape and burn victims. The delivery system is a squeeze tube or squeeze bottle. It dries to a thin, invisible film. It remains flexible to bend with the skin. It remains somewhat moist to allow the 'actives' to continue delivering. Two versions: One washes of with water. One is waterproof. 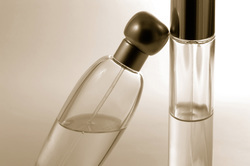 Pheromones are chemicals that are secreted in our sweat and other bodily fluids that are believed to influence the behavior. I have developed and mastered a formulation for calming and easing mammals. It combines natural, specially collected pheromones and synthetic pheromones in to a spray-able emulsion. This formula has been tested for years. It is particularly useful with pet companions, however, it has great potential for calming large domestic animals and, perhaps, large crowds, and prison inmates. Restructure small lakes, ponds, settling ponds, run-off water ponds, and man made reservoirs. Does not harm flora or fauna. This anti-aging facial serum is formulated with the DNA, oils, extracts and polypeptides of ten different super-berries. Plus, Vitamin E and A and C and several other wrinkle -softeners, anti-oxidants and anti-aging ingredients. This is an Anti-Aging DNA Super Berry Phyto Facial Care System that is loaded with antioxidant compounds that are effective in neutralizing damaging free-radicals that lead to skin cell damage and premature skin aging. The combination of DNA and nutrients of Acai, Goji, Pomegranate, Noni, Mangosteen, Raspberry, Cranberry, Huckleberry, Blueberry and Strawberry in this Anti-Aging DNA Super Berry Phyto Facial Care System specifically encourages the production of collagen and elastin in the skin. The highly synergistic activity used directly on the skin takes advantage of the potent antioxidant activity of these ingredients. The DNA and extracts of these berries contain anthocyanins that act to strengthen the walls of the tiny blood vessels that supply nutrients to the skin. This Anti-Aging DNA Super Berry Phyto Facial Care System will empower your skin to repair and plump, return it to a youthful, wrinkle free appearance. It works with several components of the DNA of the selected berries. When applied to the skin they enhance the skins own DNA. It treats the skin, beginning with the skin cells, allowing an increase in the life span of the telomeres. It is designed to improve the various signs of aging, visibly reduces the appearance of fine lines, wrinkles, sun spots, large pores and skin redness. It can also work to increase the skin’s natural moisture content and barrier function, promote firmer, stronger skin, and improve skin texture working at the DNA level. It is a proprietary blend of nucleic acid bases and stem-cells (the essential building blocks of DNA and RNA derived from the selected berries), methyl groups (which are considered by many scientific researchers to be the prime regulators and programmers of the aging process). This is one of the most rejuvenating, immunity- enhancing, and tissue-supporting formulas ever developed. The SOS Wellness Drink is a self-contained super-oxygenated sports drink that is all-natural. It is to be consumed daily, before, during and after sports and as a general wellness remedy drink. Just drink as is or add some to your favorite juice. It is comprised of a very special structured energy water that has been distilled many times to remove any disease markers as well as re-align the hydrogen / oxygen relationship angle to vastly improve its oxygen delivery capabilities to every fiber of your body. This special water has a bond angle of approx. 114 degrees as opposed to the standard of 104 degrees. It approaches the qualities of hydrogen peroxide and ozone. The water is energized with several kinds of light. It is structured with a patent-pending device. This renders the SOS self-preserving. Ozone and Hydrogen peroxide further enhance the oxygen exchange process. Coconut water, a unique seaweed extract and deep sea pure glacial water delivers needed minerals and nutrients that synergistically perform as precursers of EPO (erythropoietin) to stimulate stem cell building at critical times. If you want to be at the top of your game... use SOS Wellness Drink. A novel one-product decontaminate for the undesirable effects of pepper spray. However, it is used two or more times with the first application as soon as possible after the initial pepper spray dose. It is then wiped away with disposable towels. The second application immediately after that. It is left on the skin for up to two hours. It may be wiped away and reapplied. 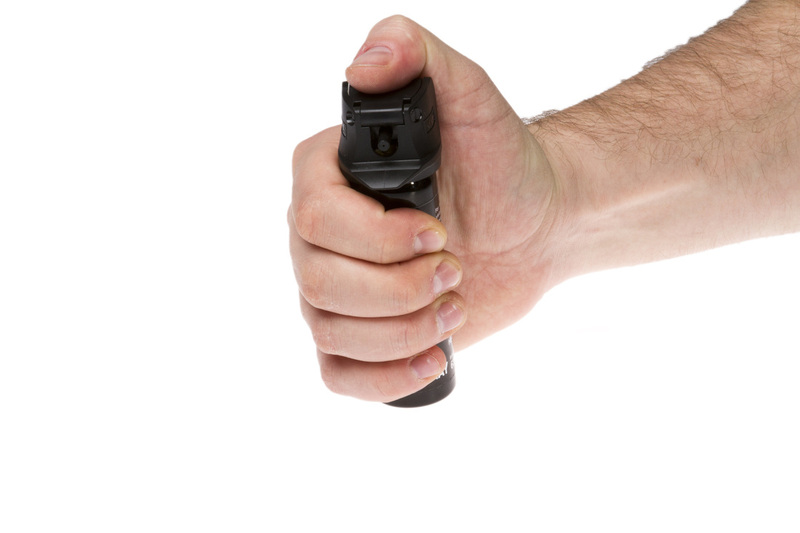 Pepper spray (OC oleo-capsasin) 're-ignition' occurs for up to 48 hours after being sprayed. Any heat source makes it 'come alive' again. This product will reduce that time to about 2 to 4 hours. It is natural and biodegradable. It not a drug nor does it claim to relieve pain. OC is very difficult to remove and neutralize without further damaging the irritated skin. This is a very special formula that addresses the difficulty of removing, neutralizing and preventing further discomfort. These strips are designed to identify levels of MSG, Aspertame / Nutri-Sweet, Gluten, Peanut Protein, Lactose and other allergies and sensitizers. A simple, easy-to-use food toxin, allergy detector. It is assumed that the user is aware of his or her allergy or sensitivity to certain food additives. The user simply inserts a test strip into the suspect food item, waits for 30 seconds and compares the test strip to the chart that is printed on the side of the test strip container. He or she is able to determine if the suspect food is in a range of safety or reject. MSG sensitivity, Aspertame allergy, peanut protein allergy, lactose intolerance and many more. Another approach to detecting MSG, Aspartame, Peanut Protein, Lactose and other allergens is using electrical probes that plug into a smartphone. The test is started to qualify then quantify the target ingredients. The measurement is then reviewed by a smartphone app. The user is informed on a personal, private method and an informed decision is made by the user as to consume or not the food. The probe technology and design are patentable as well as the app software design is patentable. fast preventative and treatment cure for the dreaded endemic, MALARIA. Although much progress has been made, 3.3 billion people in 106 countries are still at risk for being infected with malaria this year. 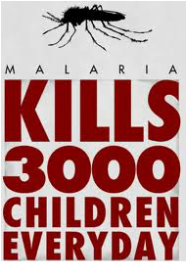 In 2009, 781 000 people died from malaria, mainly women and children in Africa. Diagnosing malaria infections continues to present significant challenges for healthcare delivery. According to WHO’s World Malaria Report 2010, the percentage of cases tested was less than 20% in 21 countries in Africa. Swine Flu (H1N1), Avian Flu, EBOLA Virus, Noro Virus & Entro Virus Sanitizers for hard surfaces. Strains change every year but our products continue to kill fast and effectively. These products kill 99.99% of these viruses in 1 minute or less and continue to be persistent 100% effective for over 24 hours. With The entire globe, the very biosphere in which we reside, a huge problem of the land and oceans being filled with plastic... A veritable 'garbage patch'. This is a bio-degradable plastic that is potato-derived and is underway in the R & D phase of design. This won't clean up the existing problem, but rather, it will help stop the growing problem of plastic pollution. Spudplass is poised to lead this industry growth potential. This is a non-lethal chemical compound that is embedded into the wet-suit, tools and equipment as well as a coating that goes on the exposed skin and hair. The intent is to look invisible to the shark. 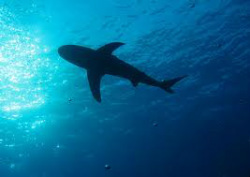 By determining the visual wave length that sharks cannot see, a special chemical compound is formulated that creates that wave length as well is water-proof.